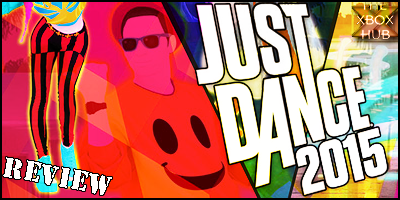 Although I’ve been a fan of numerous dance titles over the years, I’ve never actually made a connection with the Just Dance series. For one reason or another, Ubisoft’s dance centric titles have always passed me by but with the latest version out now on Xbox One and having been a fan of it’s direct opponent, the Dance Central series since it the first came out, I thought it was high time I tried out another dance game. As soon as I started playing I realised that Just Dance is an altogether different type of game to the ones that come from the Harmonix camp. On starting the game you are taken straight away to the menu where you can select a track from the 29 different choices. There is a very eclectic mix from recent chart hits including ‘The Best Song Ever’ by One Direction, cheesy party favourites such as ‘Holding out for a Hero’ by Bonnie Tyler and songs for younger players like ‘Let It Go’ from Frozen. After selecting your song you are taken straight into the dance – there is no story mode, no tutorial and no easy ramping up of the choreography. On first glance, this is not easy as I desperately tried to keep up with the complex dance moves such as the splits lifted straight out of the music video. I am easily frustrated so quit quite a few of the faster songs after a few seconds wondering how the game expected me to keep up. However, I stuck with it and began to understand that actually, even though the game utilises Kinect, it is not monitoring how accurately your arms and legs are placed (as in Dance Central) but the scoring is, as far as I can make out, based on your general rhythm and enthusiasm. The key to getting a high score is therefore just to go for it and have a good time rather than try and copy the exact dance moves – a welcome change especially for younger players and those that are not exactly gifted in the dancing department. The bright visuals, which manage to be both cartoon-like and life-like at the same time, are fun and appealing. The background animations of laser-shooting kittens and dancing doughnuts are sure to keep the non-dancing onlookers entertained. There are visual clues given in the right hand corner which shows you what moves are coming up. I personally didn’t use these as I was too busy trying to copy the dancer but after you’ve danced the same track a few times they become a bit more useful. As you dance you are awarded on how well you are doing by feedback on screen such as OK, Good and Perfect. You are given a score and awarded coins which can be used to unlock new songs and alternate routines. 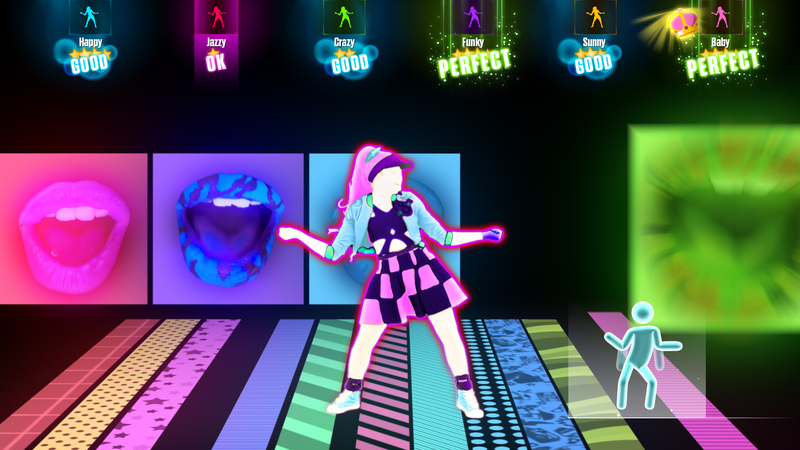 Where Just Dance 2015 really comes into its own, however, is in its multiplayer features. It allows you to dance with up to seven friends and the dance choices on offer contain several group and duet dances. Each player takes on the role of one of the dancers on screen who each have their own moves and there are parts of the dance where players can interact and dance with each other. If there are people that are more vocal than physical than they can sing along as lyrics to the songs are shown on the screen at the same time. You don’t necessarily need Kinect to play Just Dance (more on that a bit later), but if you do then those who wish to show off their vocal prowess can also be scored on their performance. There is a very big community aspect to the game. You can challenge other members of the online community to dance-offs and share stats and videos of your dances to the Just Dance Wall to be watched by others. 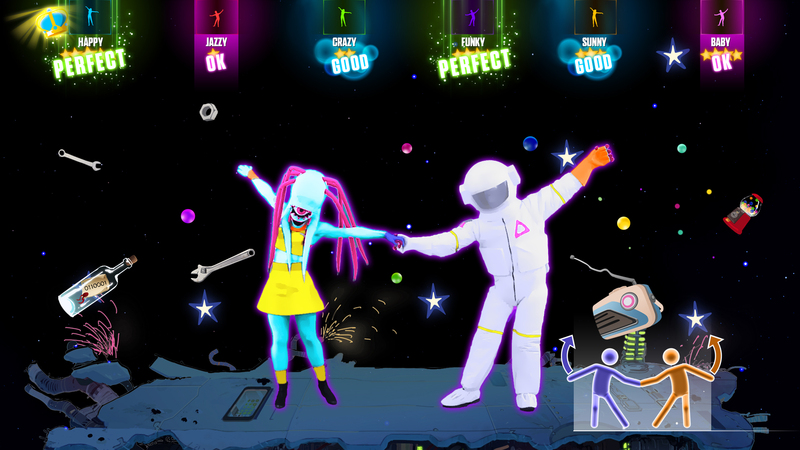 ‘Community Remix’ mode enables you to dance to tracks alongside other players instead of the dancers. The World Dance Hall is the place to go if you want to feel like you are at a party and interacting with others when you have no physical friends to hand. You can vote for which song to dance to, dance in teams and dance against ‘celebrities’ such as professional dancers. Its quite difficult to comment on how well Kinect performs in the game as you don’t get any in game indication of how well you are matching the moves. I did find that the menu navigation was jerky and imprecise using Kinect and had to resort to using the controller which is a world away from the fabulous Disney Fantasia: Music Evolved that we have recently highly praised. However, during a track it picks up players very quickly – even people who are sitting to the side watching. We had quite a few static knees that racked up impressive scores! If you don’t own a Kinect then there is the option of using your mobile phone to score your dancing. After downloading the Just Dance 2015 Motion Controller app you are shown how to connect to Xbox One and then dance along with the mobile in your hand. I’m not sure how this is interpreted into a score but I guess it is similar to how the remote was used in the original Just Dance games on the Wii. I had a few problems when trying it out as I kept getting disconnected so had to stop dancing to resume using the controller – not ideal when you are trying to rack up an impressive score. My feelings for Just Dance 2015 have evolved from frustration, through to confusion but have finally ended in enjoyment. It does not offer a lot as a single player game but add a few friends into the mix, either real or virtual, and you have the ideal party game.